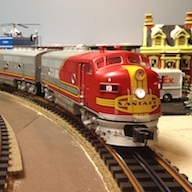 I recently received an early American Flyer train set in the original box. Before I purchased this set, there was some discussion among my train collecting associates as to whether or not the train set originally came in this box. But the set box was of the correct 1915 – 1917 era so I went ahead and purchased it. The train set was advertised as being from 1916 and consisted of a single Imperial Limited Line 1107 coach, a no. 1 Type 1 steam locomotive (1) and a 328 tender – all in an excellent condition for each. 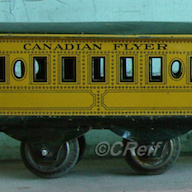 The coach and tender each have the 1916 ‘bent end’ coupler used by American Flyer (AF) from 1913 – 1919 (1). So everything with this train set says 1916 or slightly later. But it is what is hand written inside the lid which is most puzzling. In plain pencil are written the words “To Howard Thaiss / From Mather & Father 1914 Xmas” and on the outside are 4 lines of hand printing, which are practically blacked out with an old black felt marker pen and illegible. In barely discernible writing is “#??? 1913”. Could this be a factory addition of code number and year? The other 3 lines are too dark to read at all. So what is necessarily going on with this? A 1914 Christmas present of a 1916 train set with a 1913 code number? 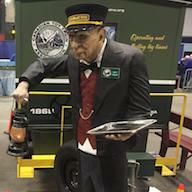 Does train history need to be rewritten? Fake News! Let us look at this set box a bit further before we turn the history books upside down. The American Flyer Company did not move to the SO. Halstend St. address until early to mid 1915, so the note inside and the 1913 outside would not make sense unless the set was bought as a late or post Christmas present. Also, any notation relating to a 1913 code makes absolutely no sense, as verified set boxes of 1913 have a completely different box lid design, which was used from 1910 to 1913. Verified AF set boxes of 1914 have a paper label with the same family picture design and with the then factory address of W. Kinzie St. The set box could always be used after the copyrighted date, but highly unlikely to be used before as to give away the ‘secret’ protected by copyright. Let us look a bit deeper into this set box as doubts are beginning to emerge about these written statements. 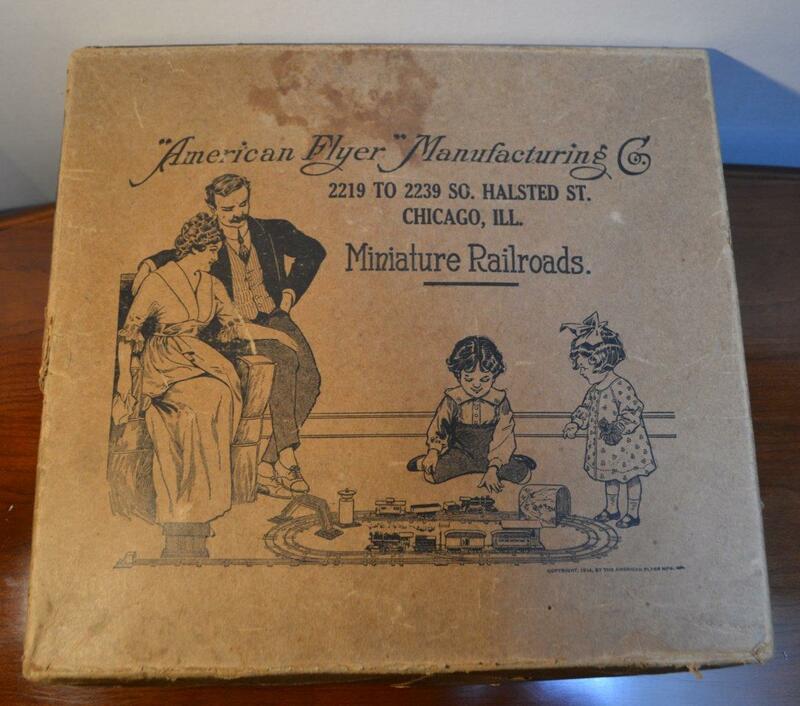 The box top lid and bottom section are compatible, so it is a properly mated 1915 – 1917 American Flyer set box. I have one other train set box and individual boxes that were given as Christmas presents and for each the “To and From” are written or attached to the outside of the box, not the inside. How would one know who this present was for if the notation was written inside the present? Could we assume that AF produced and used this box in 1914 in anticipation of the 1915 move? Not likely, when they already had a dedicated 1914 set box with a paper label. It would have to have been easy to put the 1914 label on this box if necessary. The winged locomotive design on the box sides was filed for trademark protection sometime in early 1915, with the first use of this design reportedly being Feb. 23 1915, as per trademark filing (1). To imagine that it was used in 1914 as the inside lid note suggests does not match the reported facts. The train set is correct for the box, the set box is correct for the year’s usage; the inside and outside written notes ARE NOT correct! The distinct possibility is that the hand written notation was put in many years after 1914 and the year was written incorrectly. This seems plausible as the ‘4’ of 1914 appears to have been erased slightly but no new digit put in its place. This note may have been written by Howard Thaiss himself at a much later date, to remind himself about the wonderful train set given to him and by whom. 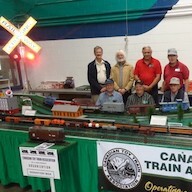 Obviously, he cherished this train set and those who had given it to him. How many of us have written a note ‘To self’ in later life to remind ourselves of an event or where an item was purchased? Did we get it right? Let us hope so, as this one was not entirely correct. I now believe it was indeed a present for Christmas 1916, not ‘Fake News’ but a memory/reminiscence issue and an honest mistake not meant to launch a rewriting of the history books. Thank you to Mr. Leon Sweet for his valuable insight and contributions. Reference: (1) Greenberg’s Guide to American Flyer Prewar O Gauge, by Alan R. Schuweiler.